Economists working for government have once again failed to put on the green light for achieving the 2004 year-end inflationary target of single-digit as predicted in the budget, making this year's miss the third successive attempt since 2002. Latest inflation figures as computed by the Ghana Statistics Service (GSS) showed year-end headline inflation sliding again by 0.5 per cent from 12.3 in November to 11.5 per cent as of the end of December 2004. 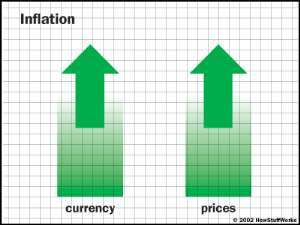 In 2002, a target of 13.0 eluded government when inflation the year closed with 15.2 per cent, while 2003 an initial target of 9.0 per cent was also not attained as inflation slipped by to 23.6 per cent. As expected the annual inflation rate food in December drops to 16.6 per cent from 17.1 per cent in November 2004. The non-food rate also dropped from 11.5 per cent in November 2004 to 10.1 per cent in December 2004 representing 1.4 per cent decrease. However, the monthly changes in rural index for December was 387.07 per cent compared with 379.01 in December 2004, showing a rise of 2.11 per cent while the urban index showed an increase of 0.2 per cent from 347.35 for November 2004 to 348.01 in December 2004. Experts' response to the trend have been positive, saying, the economy has shown resilience against external shocks brought about by rising oil prices. According to them though government missed its single-digit inflation target by the end of the year, the drop indicates the way government maintained prudent fiscal and monetary policies.